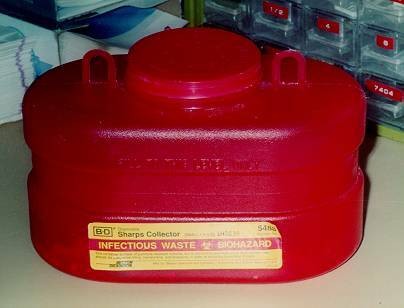 All biological waste and materials that are covered with blood are placed in special biohazzard containers. These materials are picked up by a special division of BFI and are incinerated. 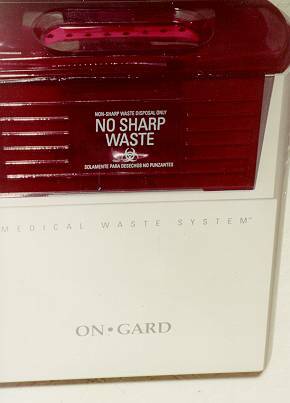 Needles are placed in a special container and are disposed of in a similar manner.